Christina Renee Bussell, age 26, was last seen on September 28, 2011 walking along Hwy 27 near the Winfield Tn/Ky state line. She has long brown hair, blue eyes, weighs about 100 pounds, height is about 5'5" and she has a butterfly tattoo on her back shoulder blade with her two kids names above and below it. Information on her whereabouts should be given to Scott County Police Department. There is an alert out for Christina Renee Bussell who has been missing for nearly 5 months. I have not come across a report to say she is found so I am assuming she is still missing. Tarot may be able to provide a few useful ideas and I will write what I see. Tarot is past present and future regarding time mode and the information may cover some of what is already known if it comes up in that past mode. Please go to other factual sources of information as Tarot cannot be guaranteed as 100 per cent by Law. This first card for Christina did not feel right at first but then I realised that it likely is considering that Knight of Pentacles would be in this run of cards showing her walking North or North East. Mostly pentacles are about money and health and material goods and in this case it seems that Christina was trying to hold on to everything she valued. I see her outside of the town as the town behind her and its possible she could have gone to a bank but Im feeling that she was short of employment and money in general. I might be wrong but five of pentacles shows a situation where somebody is 'out in the cold' and does not know who to ask for help. She could ask for help but for some reason may have chosen not to? The overall feeling is not getting her due worth or feeling undervalued in some way. If this was to do with money and work or general material matters then it would suggest that she felt shortchanged. It could really be how she is feeling in general at that time and nothing to do with the realism of finance but a view of her life. However, to me initially it seems like there may be some work involved here or something to do with business or employment or lack of it and she might need to make money. Perhaps she hoped to get a new job or was looking for work considering that the five shows her in a position where she is down and out. I think she was worried about changes and security in general. I sense her as a person who might have to go it alone or needing to feel independent. Perhaps she did not want to rely on others to do things for her. I think she needed money for the family? I can see her weighing up family and financial matters trying to figure out how to balance it all and how to make ends meet maybe. It is possible she could have had a desire to do something new or learn something to help her get on a bit better in life because there is a sense of messages here regarding employment and learning new skills and study so I am thinking that could be what was on her mind. It would involve her travelling or going from one place to another. This is what I am feeling anyway but does not make me right. I seem to see photographs here but not sure why. Overall though some kind of message about money and I think she was on her way somewhere in respect of that perhaps to negotiate? I seem to see her as a courageous sort of person and very determined about what was on her mind to do. The only thing that concerns me is this is seemingly a spur of the moment decision which in itself could be a little rash. I think she has had some stress and difficulty but there are some kind of dangerous elements to this quick decision to go off. I am seeing a crossroads and somewhere to go so I dont think she was just walking along aimlessly because she had an aim and that was to and see somebody or meet somebody with any of these things in mind and it could be a man possibly an older man . However two men could appear one being younger and one older so I do have to be careful with description and movement as it could imply one or the other. I am seeing fields and rural aspects and elements and school names or even passing a school is possible but travelling on foot here . I really feel like she had to make some big decisions anyway she definitely had somewhere to go and it was a very quick decision to do so. I feel as though she had concerns about her children and being away from them or it seems someone felt that way . I dont know if this is to do with a male in her life or someone older. I seem to be getting someone interfering in her business here and this whole journey could have been a waste of time. Theres stagnation and a full stop here. I am seeing wild fertile land and I am not sure if this journey was completed or has worked out because what she intended to do does not seem to have come to fruition. I am now looking at the reverse of all these cards and that is never the best thing as a rule however, I am seeing someone abandoned in a respect. Maybe in or near an abandoned property or somewhere that is shut up or closed either a business or property. Theres a possibility of a bad business deal or a turnaround of events somehow. These cards could suggest thievery and roguery and there could be a younger man here that is or has taken advantage of her and there is a feeling of low vitality. I am seeing someone in a car, it could be a black or darker car though when I first saw Christinas photograph I saw a white truck but that might not be the case. However, I think a vehicle may be somewhere in this journey. I just see her blocked on her path so that gives a feeling of being apprehended or stopped. Im just sensing dubious people around her and the location direction appears to be North but this is reversed and it might suggest a reverse direction to South , the colour green, number 13, 31 or split that into a 1 and 3 to make FOUR. So four would be a number to bear in mind for route or otherwise. I an feeling that she is off the beaten track and possibly near a Hill or a Hill name in the district? She might actually have turned around and began walking back so I have to put that possibility up. Mobile homes can come up in these cards but I am back to thinking of something that is white. I felt at one point she could be under a roof so a roof over her head? I am seeing animals or pets? particularly two dogs. This card is showing a family home - bio logical home so Christina may already be found. If she is not found then she may be 10 from her home or indeed it may be a route 10. I am seeing her alone however in a property or near property with a garden or land around it and the word 'manor'. It may not apply but it does come up and has been useful sometimes. I see the dogs here when she is found. I am also seeing some kind of 'arch' - usually pentacles are years but Im undecided on that so I will give a ten and hope that is useful. Also the direction I have is North and I still seem to have the work health and money element attached here. If she has not been found I would look along the route that she was walking. There are fields there according to these cards maybe some are furrowed or maybe its farmland I am seeing. There is a sense of 'security' in these cards so either that is going to refer to Christina being found already or that she will definitely BE found as there is a benefit on this search showing that there is a stability when it comes to finding her. I am not sure how much of this information will be of use but I am hoping that something will help. I will try to keep an eye out to see if there are any further reports to at least define whether or not Christina is recovered. Tarot is not 100 per cent therefore it cannot be considered that every detail is fact. It is purely Tarot to assist as much as is possible with the hope that it can turn up some clues. This is my sister and a lot of these things are things that make perfect sense. Do you think she is deceased or do you see her as being alive? Any new things you see, she has still not been found. Still not found, and we are all still praying and searching for her. 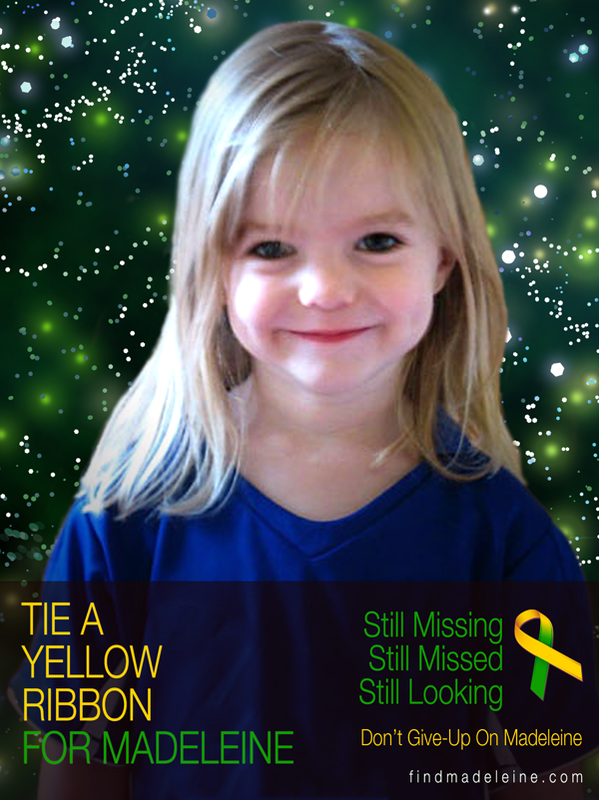 It has been 4 years and we still have not found her, could you try again? Anything would help at this point. Please!